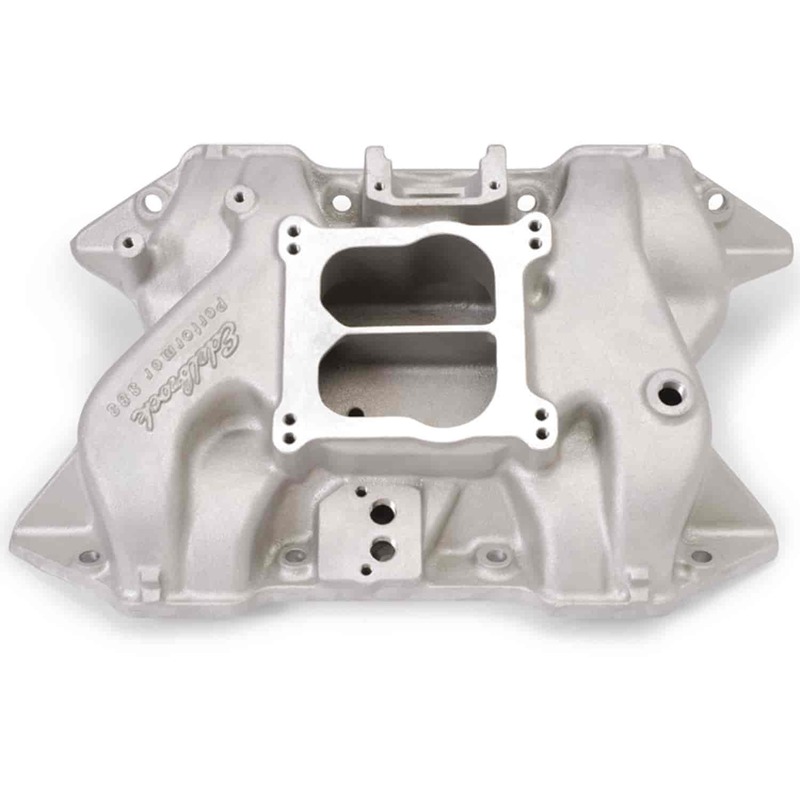 Designed for street 361-383-400ci Chrysler V8s that measure 7.75'' across block. For EGR applications, This is for 400 V8s with OEM 4-bbl. carb. ; 1972-78. For non-EGR applications, This is for 361-383-400 V8s with OEM 4-bbl. carb. ; 1966-72 (1973 non-CA); except stock equipped EGR. May be used with OEM or aftermarket carbs. Carb Pad Height: 4.00" Click here to determine carburetor pad height. Does Edelbrock 2186 fit your vehicle? will the stock ac brackets work with this intake? These are compatible with the factory brackets.